This post and pics - about to go viral. Ok. 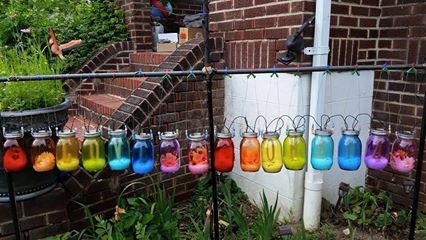 So a friend of mine made these awesome solar lamps for her garden. Happy rainbows for a garden makes sense, right? Well, some special snowflake sent her this note. 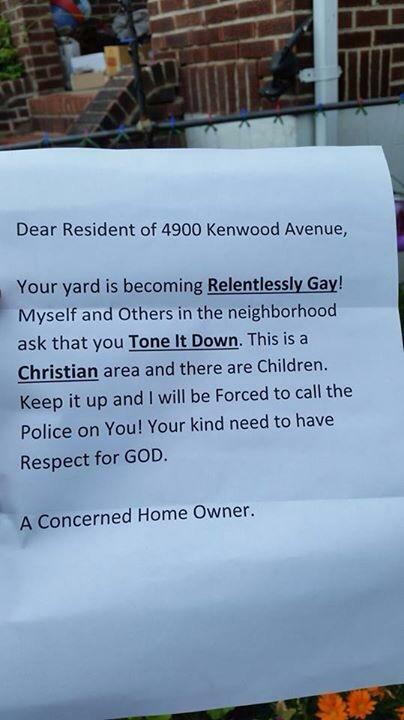 I need ideas on how to mess with these people and show them what "relentlessly gay" can do. Bonus points for exceptionally kid friendly ideas.